2. Officer should have experience in corporate communication and public relations. 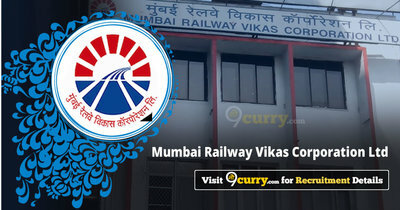 Eligible candidates may send their application in prescribed format (attached below) to General Manager (CC&GA), Mumbai Railway Vikas Corporation Ltd. by email gm@mrvc.gov.in. on or before 16 Feb 2019, along with copy of the application to their administrative officer for forwarding the application to MRVC indicating 'No Objection', Vigilance/ DAR clearance, APAR gradings etc.